In the midst of traveling, decorating, cooking, party-hopping, and all the rest, there’s one thing you can take off your overflowing holiday plate: your style. 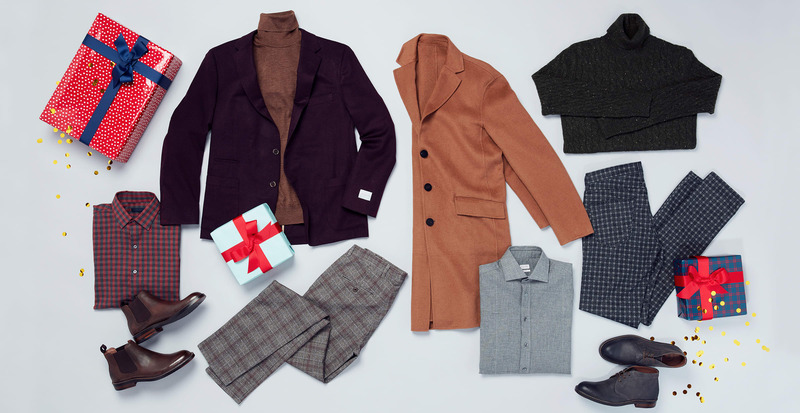 We’ve enlisted three of our top stylists to walk you through their best tips and advice on dressing for holiday events. From a casual dinner with friends to a pull-out-all-the-stops cocktail party, find a look that matches the holiday plans on your calendar. This outfit, styled by Lauren, has Friendsgiving or gift exchange written all over it. 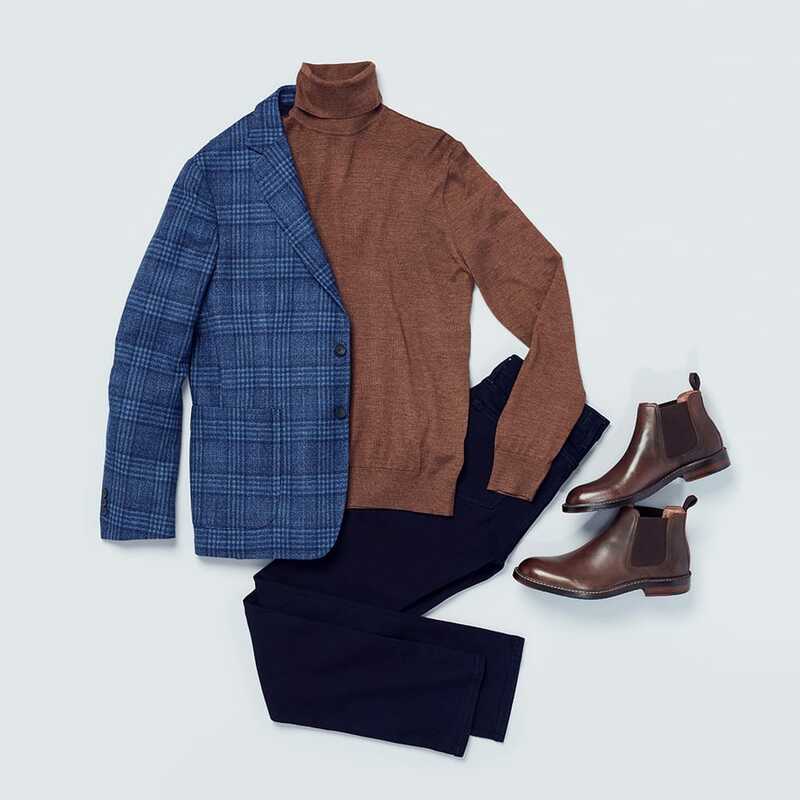 A thin, quilted coat makes traveling to and from festivities less of a hassle, and a Chelsea boot is easy to slide off and on once you get there. (We all have that one friend who makes you take your shoes off when you come over, right?) To complete the outfit, add a pattern. A check shirt always looks great, or Lauren recommends a cozy sweater with plaid pants for a cool, non-traditional look that’ll turn heads. Classic workwear staples are the starting point to this buildable look. A dark pair of denim or trousers paired with a neutral cashmere sweater is a great place to start. To top it off, our stylist Madison adds a statement piece. “A fun blazer takes your look from work to work party,” she says. 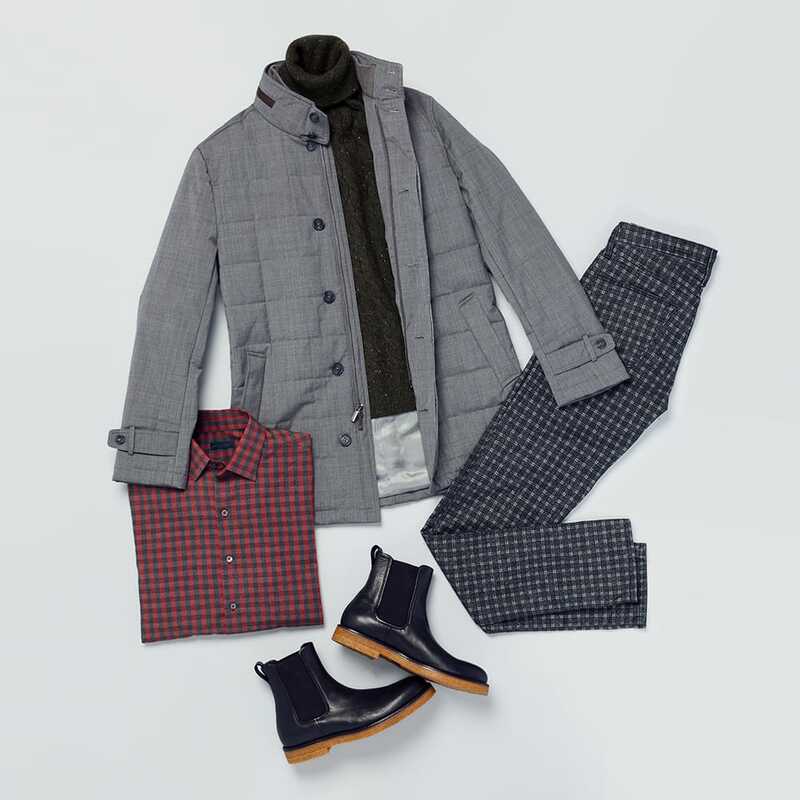 This outfit is all about layering, so stick to slimmer cuts and fabrics without too much bulk. The holidays are the perfect excuse to step up your style, and Marjorie has tons of advice. A pair of patterned pants is her favorite way to dress up an outfit this season. To pull them off, stick to solids in your shirt, jacket and accessories. 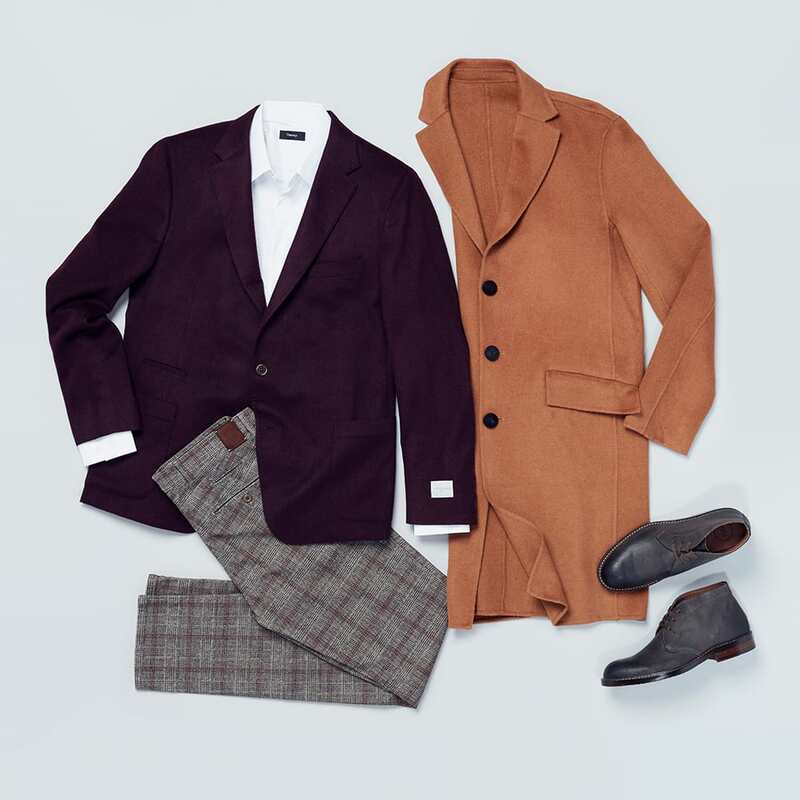 Then, warm up your look by swapping out your everyday coat for a long wool topcoat in a toasty shade.